KOBE - Vissel Kobe have terminated the contract of manager Nelsinho due to the side’s poor performance this season, despite having acquired former Germany striker Lukas Podolski this summer, the J. League first-division club said Wednesday. Head coach Takayuki Yoshida, 40, will replace the 67-year-old Brazilian on an interim basis until a formal successor is found. 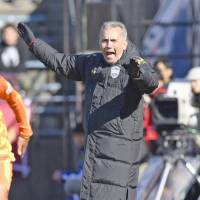 Kobe, currently in 11th place in the 18-team J1 standings, fell to its third consecutive loss for the third time this year when it lost 1-0 to FC Tokyo on Sunday. “Unfortunately, I couldn’t achieve what we were aiming for, but I was able to see the team grow a lot toward earning a title in football,” said Nelsinho, who took the job at Kobe in 2015 and led the team to a 12th-place finish that year and seventh last year. “But as a professional, I feel greatly responsible for not being able to live up to everyone’s expectations,” he said in a statement released by the club. 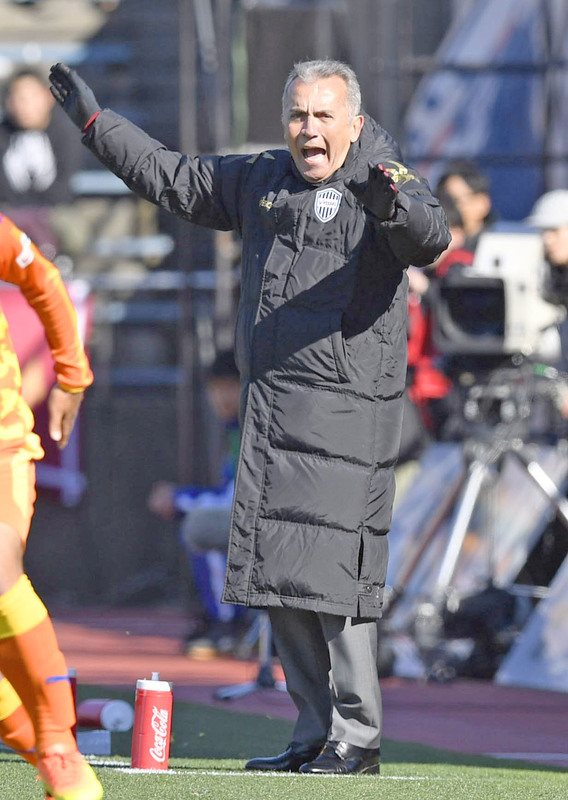 Vissel president Kenichi Tanaka said the team has little chance to win the league championship this year but may still be able to qualify for next season’s Asian Champions League. “Relegation (to J2) is also possible and we want to avoid that. (Nelsinho has said) he wants us to take what he left behind and improve on it,” Tanaka added. Captain and forward Kazuma Watanabe said he was sorry to see Nelsinho leave and that the team will work hard for his sake as well, while defender Takuya Iwanami also expressed disappointment, saying the team would not have developed as quickly if the Brazilian was not the manager. Nelsinho also has experience managing several other J. League clubs including Kashiwa Reysol, whom he guided from J2 to their first league championship title in 2011 and to victories at the Emperor’s Cup in the 2012 season and the Nabisco Cup in 2013.